Adobe® Reader® is the free, trusted leader for reliably viewing and interacting with PDF documents across platforms and devices. 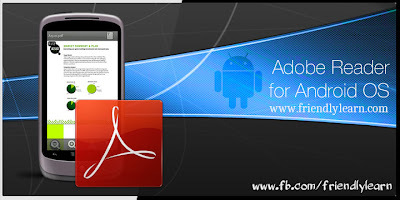 Install the free Adobe Reader mobile app to work with PDF files on your Android smartphones and tablets. Easily access, manage, and share a wide variety of PDF file types, including PDF Portfolios, password-protected documents, fillable forms, and Adobe LiveCycle® rights-managed PDF files.